The fact that the international press are flocking to showcase our AB Marine Productions and Tours fills our hearts with HOPE and JOY! Help showcase what we have in Algoa Bay and seed that spirit into the hearts, minds and lives of people, decision makers and future generations. The more footage – spectacular or not – about the Marine environment that we can produce, the more that mankind will realize we are on the brink of a unchangeable situation. The Oceans can’t be repaired easily and we need to make as many people as possible aware of this. 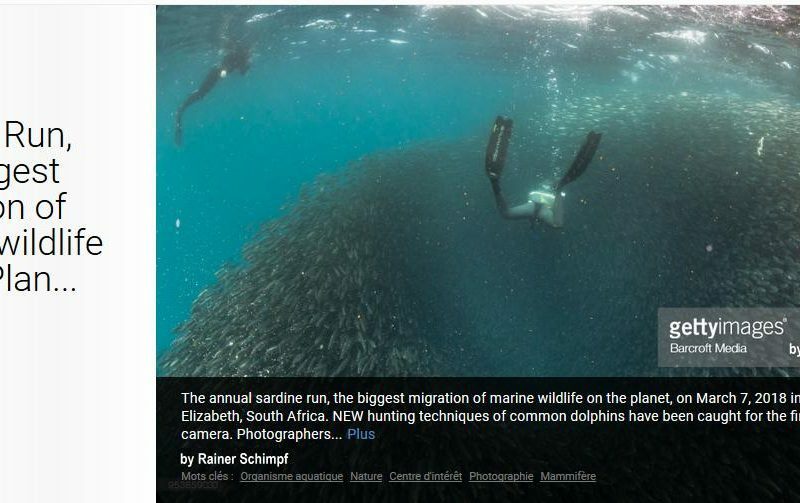 A trip on our Sardine Run vessel with www.Expert-Tours.com or Whale and Dolphin watching trips with www.abmarine.co.za will help you understand our deep love for the marine environment and the pressing need to preseve it. Get connected inside the Marine environment!